Updated Tuesday December 11, 2018 by MSL. Girls ages 5 to 14. On a case-by-case basis, older 4 year olds may be allowed to play. Please e-mail "president@westco-softball.com"
Late Registration begins Feb 20th and will remain open until the teams rosters are filled or March 4th. $75 Pitching and Catching Clinics. Fees are reduced during early registration. 6U - players are selected radomly by age group. 6 years olds are selected first and then 5 year olds next so that there is an even distribution of players per team per age group. There are 5 - 7 girls per team. 8U, 10U, 12U, 14U - each age group has a player evaluation where basic skills like throwing, running, & hitting are demonstrated while coaches are observing. The coaches for each division take turns selecting/drafting the players they want on their team. Teams can only have two "coaches daughters" on a team with out a draft penalty. There are 10 - 12 girls per team. When do Spring practices/games begin/end? Which days of the week will players have practice/games? Typically, there will be two practices a week before games start. Typically, there will be two games a week when games start. Coaches may schedule an optional practice but, league events are restricted to three events per week. Typically, practices and games will be held on Tuesdays and Thursdays. Mondays and Fridays are sometimes used for practices and games. Practices and games are typically not scheduled for Wednesdays, Saturdays, and Sundays. Which type of softball is played in the MSL? 6U receives a t-shirt, shorts and socks in the cost of registration. 8U and older - Team uniforms which include jersey, pants, and socks, are included in the cost of the registration fee. Uniforms are yours to keep after the season ends. All players need a batting helmet, face mask, and chin strap. A glove is required and can be purchased at any major sporting goods or department store for approximately $20 for beginners 5-7 years to over $100 for higher quality professional gloves at the senior level. Rubber cleats ($10-$25) are strongly recommended. Metal spikes are not allowed. Many players prefer to bring/use their own bat, but coaches are likely to have a bat available for the team. Defensive masks for infielders/outfielders are optional. 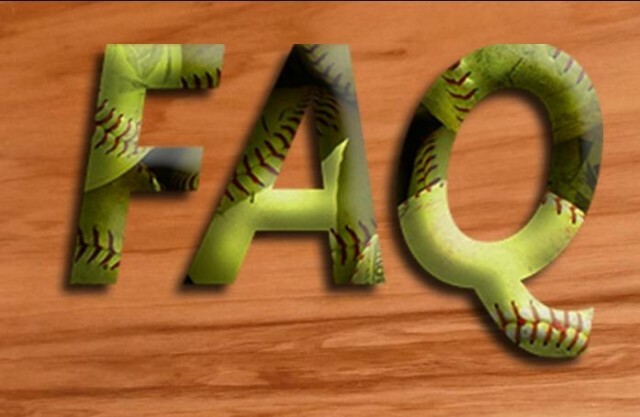 If you have any further questions, please contact the league president via e-mail "president@westco-softball.com"
"You need to change the information on what's included in the 6U girls equipment, seeing that shorts are no longer provided. "